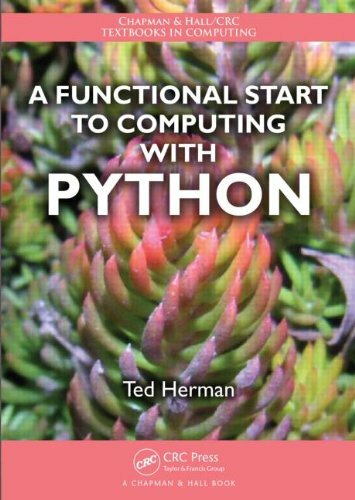 A Functional Start to Computing with Python enables students to quickly learn computing without having to use loops, variables, and object abstractions at the start. Requiring no prior programming experience, the book draws on Python’s flexible data types and operations as well as its capacity for defining new functions. Along with the specifics of Python, the text covers important concepts of computing, including software engineering motivation, algorithms behind syntax rules, advanced functional programming ideas, and, briefly, finite state machines. Taking a student-friendly, interactive approach to teach computing, the book addresses more difficult concepts and abstractions later in the text. The author presents ample explanations of data types, operators, and expressions. He also describes comprehensions—the powerful specifications of lists and dictionaries—before introducing loops and variables. This approach helps students better understand assignment syntax and iteration by giving them a mental model of sophisticated data first.